Get to know Ed and if you need a speaker for your next event, he’s your man. Ed has an unbelievable eye and his storytelling is unparalleled. Through a unique combination of stunning, captivating images of front line combat and deeply engaging narrative, War Moments brings modern combat alive like no other book ever has. Photographer / Author Ed Darack has published photographs, articles, and books about modern war for some of the world’s most highly respected media outlets, including Newsweek (cover photographer and writer of a cover article), Smithsonian’s Air & Space magazine (where his a contributing editor and has had two of images used on the magazine’s cover and has written three cover articles), and many others. In creating War Moments, Darack has carefully selected his very best images, and has deftly crafted insightful and compelling narrative about each – the most thought-provoking story behind each image. Each image and associated story stands as its own chapter in War Moments. With bold, dynamic imagery, and stunning prose, readers of all walks of life throughout the world will cherish War Moments. Darack’s images include those taken from the front lines of the war in Iraq, the war in Afghanistan, and during training throughout the world. He’s been given unprecedented access throughout his dozens of embeds, including four to Afghanistan and two to Iraq. This book was created for all those interested in the experience of war, and dramatically pulls the reader in through both images and text. Chicke Fitzgerald is the CEO and founder of Solutionz Innovations, LLC and The Game Changer Network, Inc. The Game Changer Network provides authors with a platform to tell their story about how they are changing the game in their world. The show just celebrated its 10th anniversary. Chicke has interviewed over 300 authors, celebrities and experts. She is also the author of the Game Changer, a business fable about transformational business design. 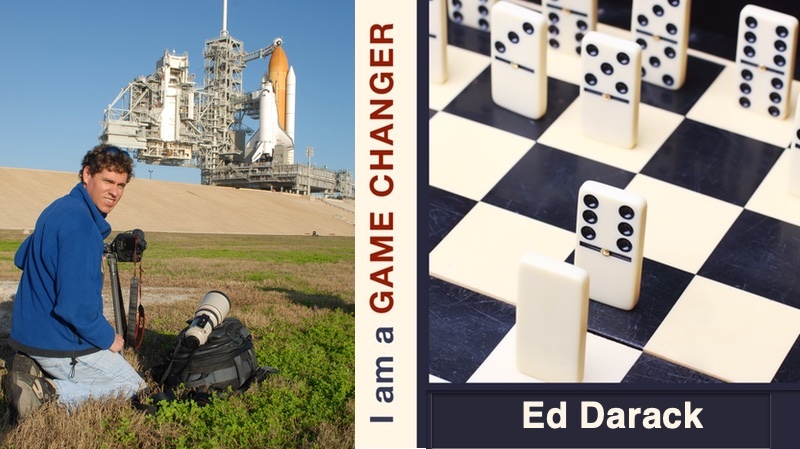 Click on the image to order a copy of the Game Changer.